Online Entrepreneurs and GDPR: How to Actually Get This Stuff Done! 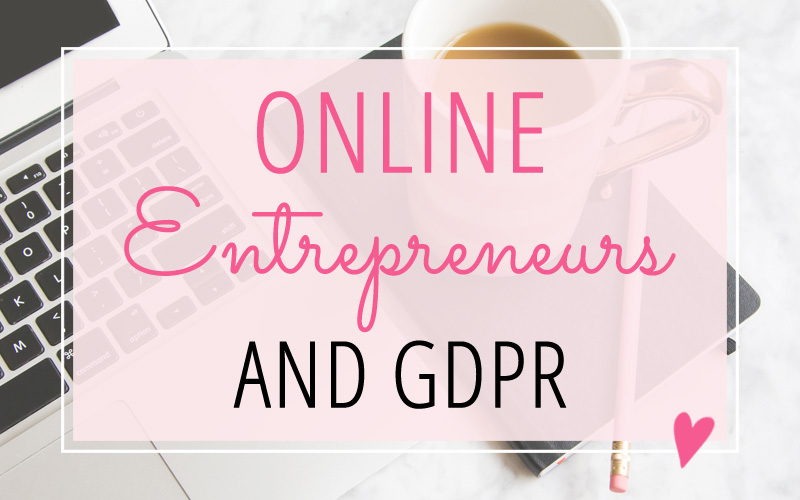 Online Entrepreneurs and GDPR: How to Get This Stuff Done! In my journey to becoming GDPR-compliant, I’ve done a lot of research on what needs to be done for my online business. And while I’ve found a lot of information about GDPR in general… and what things businesses should be implementing in order to become compliant… I haven’t found a lot of information with step-by-step instructions on exactly how to get this all setup. (I’m assuming some of this is due to all the different website platforms, website plugins/code, and email marketing platforms different businesses are using.) 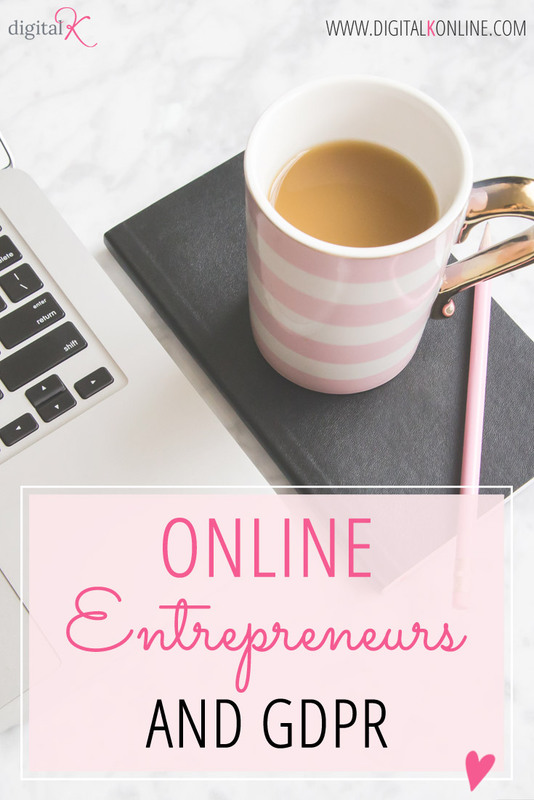 So I decided to document my process in the hopes of helping other online entrepreneurs. In this article, I am walking you through not only the different things I considered in my GDPR-compliant quest… but also the decisions I made for my business and the instructions for how to actually get this stuff done! This blog article will be a work-in-progress with future updates coming. (I didn’t want to delay getting this info out to you, in case you need the info right now!) If you want to receive notification of updates to this blog post, you can subscribe to my newsletter. I will be sending my subscribers updates on any new or changed information. Disclaimer: I am not a lawyer or data protection expert – and this blog post does not include legal advice. If you have questions or concerns about GDPR or if you need legal advice about how to comply with the GDPR, please consult with an attorney. OK! Now that that’s out of the way… let’s get on with this, shall we? As I already mentioned, this is just a walk-through of what I did (and what I’m currently working on doing!) for my own business – and for some of my clients too. You can use this information to help you think about what you might want to consider doing on your website. And if you decide to do something similar to what I’ve done, you can use my instructions for how to actually make these changes on your website or email marketing platform. My goal is to help save you some time and frustration with this process. I hope you find this helpful! The first thing I did was to research and learn as much as I could about GDPR. I tried to find reputable sources and lawyers who were knowledgeable about GDRP. There’s a TON of incorrect and conflicting information about GDPR; so you’ll need to choose your resources wisely. I have some GDPR resources that I recommend here. Then you’ll need to decide what you need to do to be GDPR-compliant. What works for one business may not be appropriate for another business. You’ll need to make decisions on how you are going to comply with GDPR for your business. It’s not as simple as telling your web designer to “make my website GDPR-compliant”. Get educated – and then be the Boss Lady I know you are… and make your decisions. If you have questions or concerns about GDPR or if you need legal advice about how to comply with the GDPR, please consult with an attorney. Use the WP GDPR Compliance plugin. Add the acceptance checkbox field to your Contact forms. The signup forms that I’m using for my different web design services and packages are handled through 17hats forms that I have embedded on my web pages. 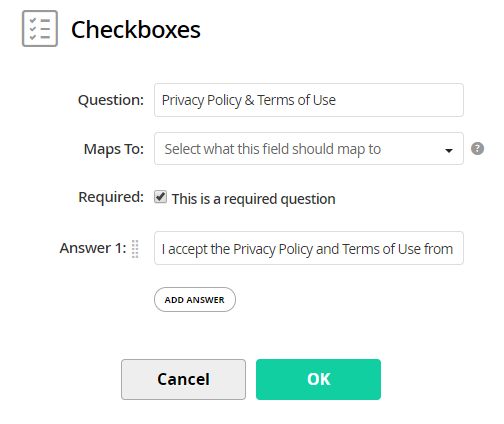 So I simply added a required checkbox to my forms (within my 17hats lead forms setup). Personally, I decided to display the cookie consent checkbox (which is optional for my website visitors to check) and the data storage/handling checkbox (which is required that they check). The cookie consent checkbox is a new built-in feature of WordPress (but may require you to change your JetPack settings in order for it to display). 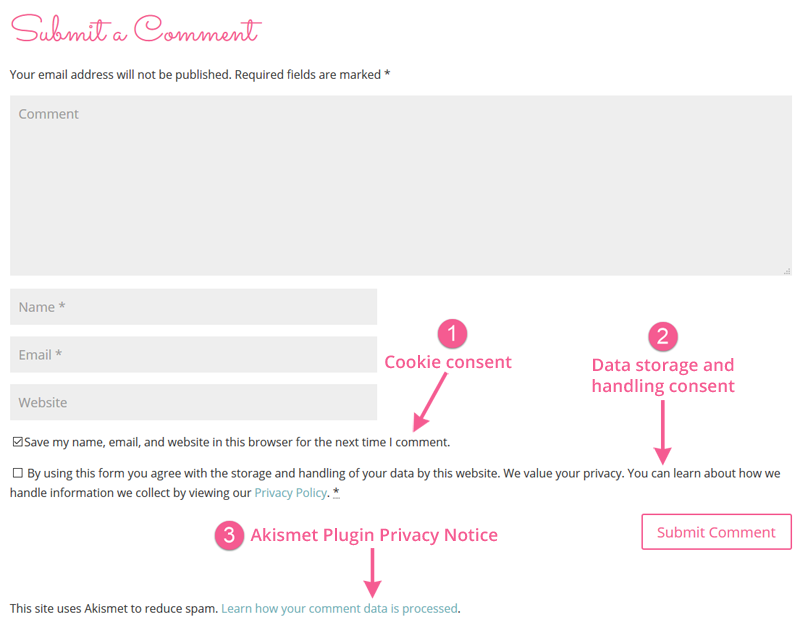 The Akismet plugin has a new setting that allows you to display their privacy notice. 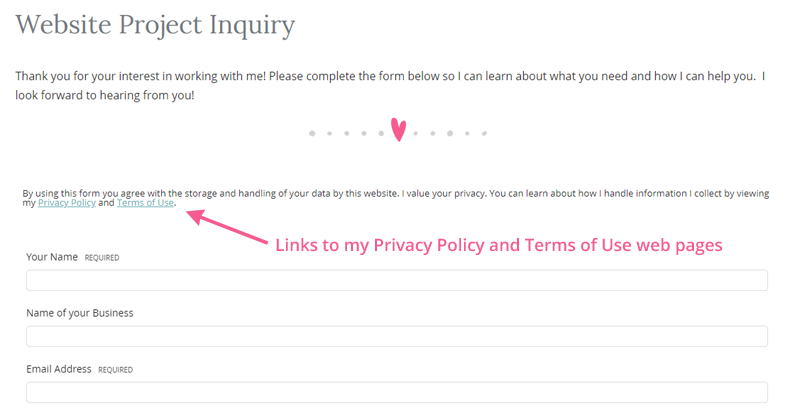 Coming Soon: How I handle getting GDPR-compliant consent for joining my newsletter, including a peek into how I setup my ConvertKit segments, sequences and tags AND how I helped some clients with their MailChimp setup. I still am working on getting additional pieces in place. And I also am anticipating GDPR-related updates from some of the services and plugins that I’m currently using. So this will definitely be a work in progress for awhile. But I hope this helps you with your own process of getting GDPR-compliant for your business. I will be adding additional information and resources in the coming days, as I work on my own website and as I assist my clients with their website and email setup as well. So stay tuned! And feel free to subscribe to my newsletter if you want to get updates when I add additional information to this blog post. Download my Ultimate Checklist for Creating a Website that helps you Stand Out Online! Woohoo! Your website checklist is on its way! Check your email for your free download.